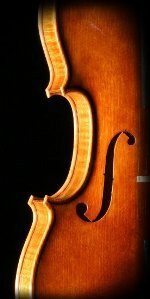 Located in Montreal (Quebec,Canada), I am a luthier making baroque and modern instruments. All my instruments are handmade in Montréal with methods and techniques in usage since the renaissance period. I am only using the best available materials, selected for their acoustic, structural and visual quality. I am using wood imported from europe or sometime local wood (from Quebec) depending on the instrument and customer preference. Each composant is hand crafted in order to give the best sound and playability to the instrument. On this website, you will be able to read my bio, see a gallery of some of my work, read a blog of my work in progress, and contact me to get more information or to take an appointment.